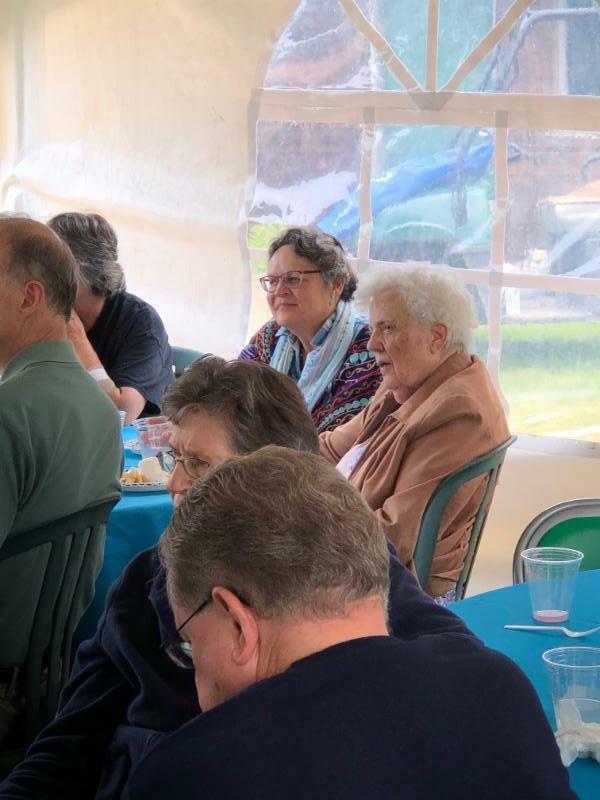 The June meeting of the Christine Center Board of Directors proved to be a watershed moment in many ways, not least of which was the retirement of Sister Gabe and Sister Marge from their administrative roles at the center. 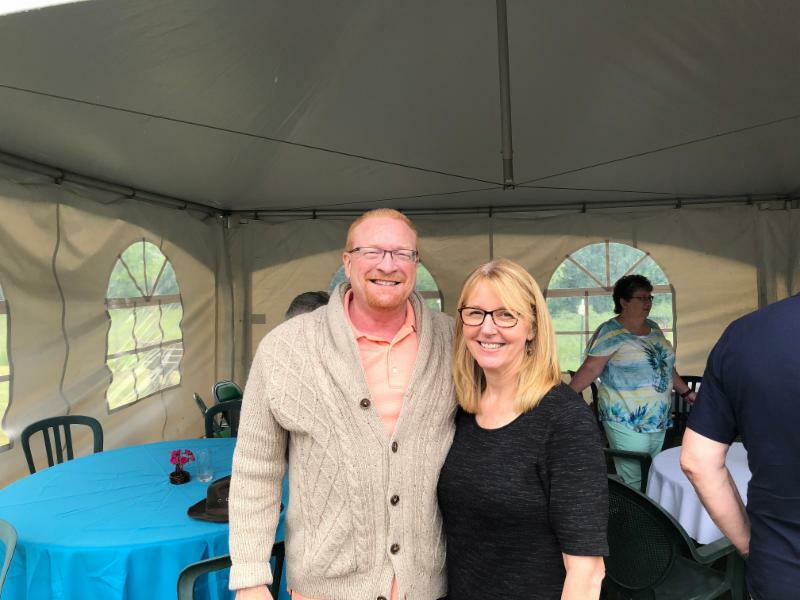 The meeting was followed by a celebration lunch, at which board members and staff members offered their thoughts, memories, best wishes, gratitude and love for Marge and Gabe. 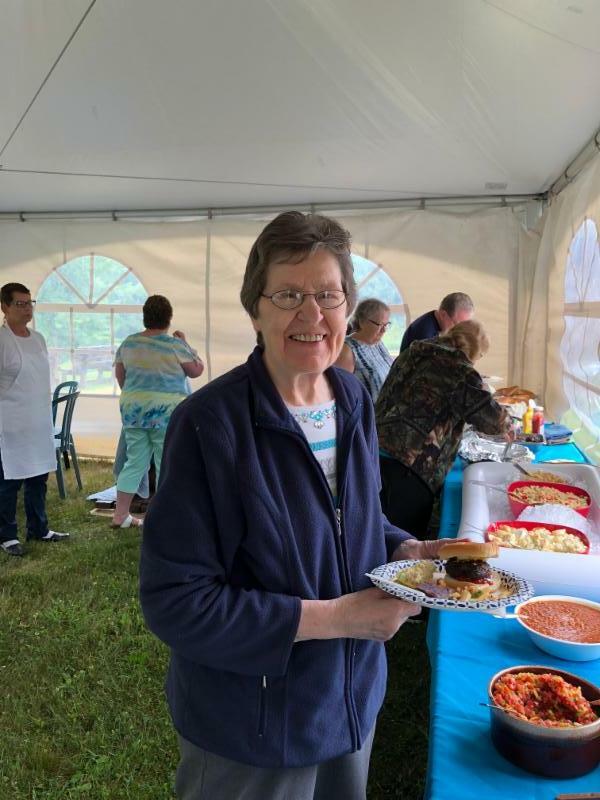 Gabe’s connection to the Christine Center began even before there was a Christine Center, as she helped Sister Virginia Mary, our founder, pack for the trip from Wheaton to Willard in 1980. 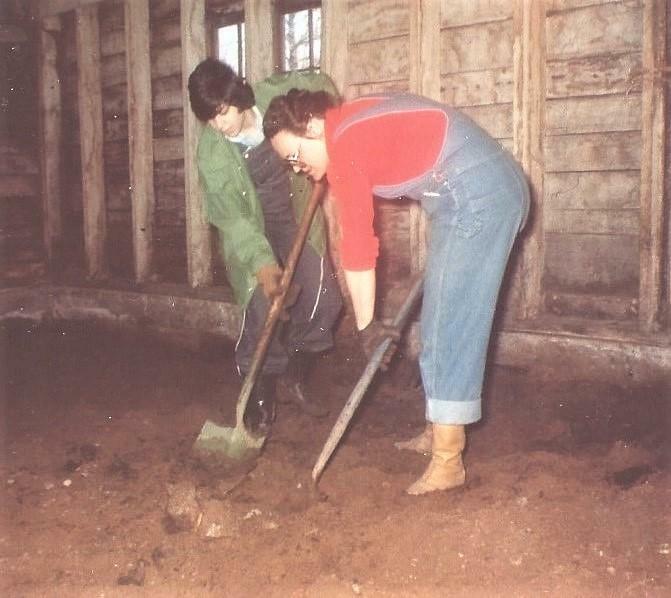 Gabe and Marge officially joined the staff at, and moved to, the center in 2010, although during the intervening years Gabe attended retreats and volunteered at the center, from shoveling out the barn to serving on the board of directors. 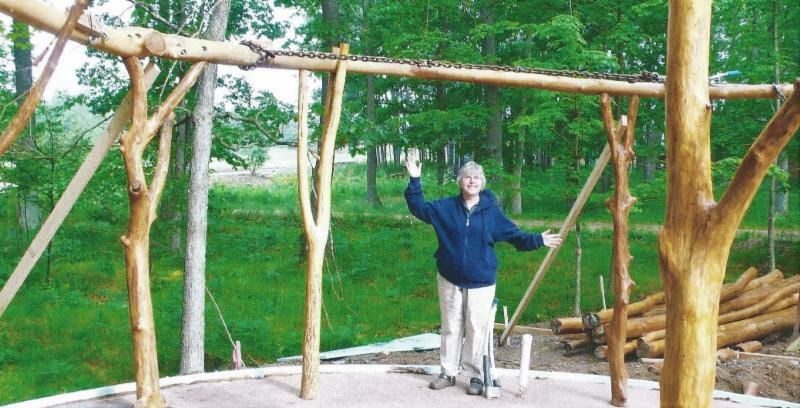 The house that Gabe and Marge built has become a symbolic landmark at the center, as its unique design of a sod roof supported by layers of recycled materials, beams of unmilled trees and branches, walls of straw bales and cement, and use of passive solar heating speaks of the centers’ symbiotic relationship and spiritual bond with the surrounding woodland sanctuary. “The land was a big draw,” Marge said in explaining her move 300 miles from their Franciscan community. Extending the work of their ministry to the Christine Center had, and continues to enjoy, the full support of the community, and both Marge and Gabe are quick to say and show how much they love it here. 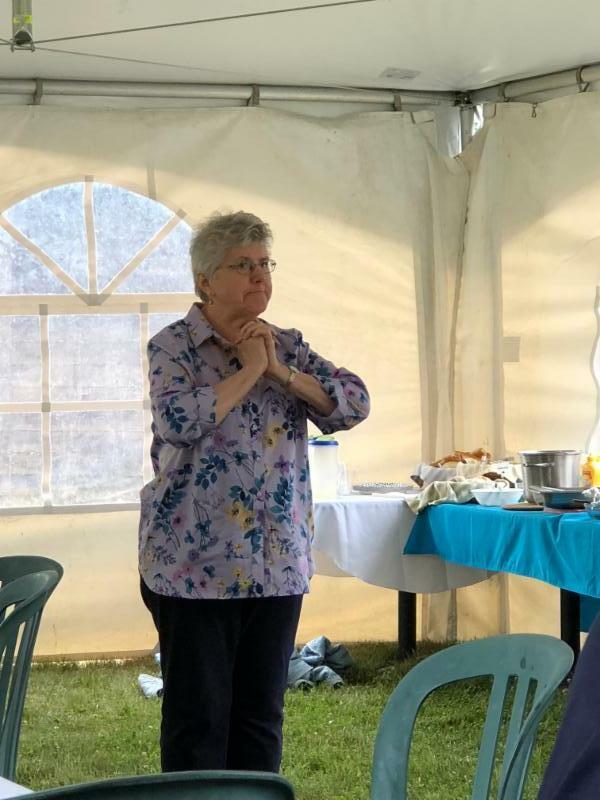 Marge’s connection to the center was also formed through a connection with Sister Virginia Mary, who was Marge’s first meditation teacher. After Sister Virginia Mary had passed away, Marge attended a retreat at the center and experienced her teacher’s presence here. It was then she knew she would bring her life and ministry to the Christine Center. 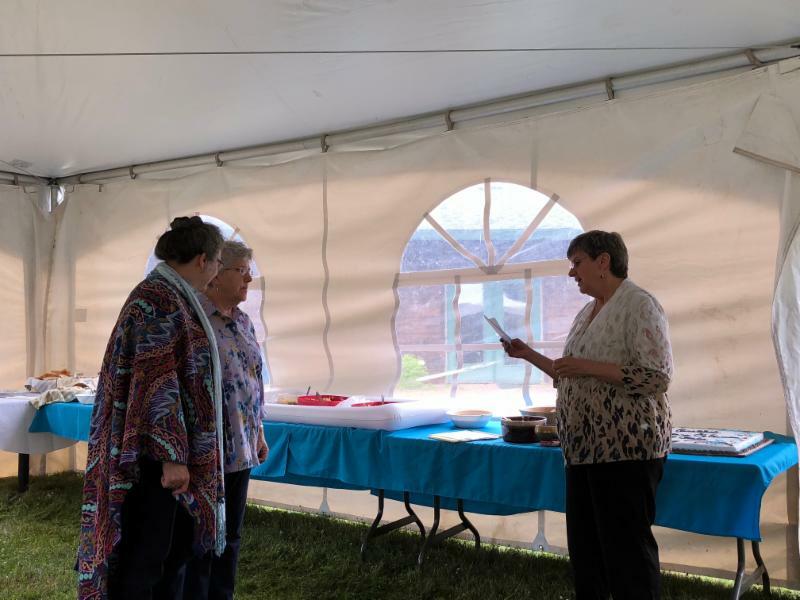 Gabe and Marge joined Sisters Cecy, Johanna and Henrita at the center and, over time, they formed the core team—a collaboration of nuns from the La Crosse Franciscans, the School Sisters of Notre Dame (Connecticut), and the Wheaton Franciscans. 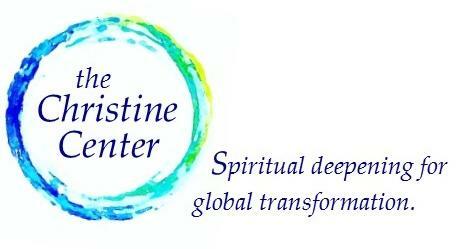 This treasure of great hearts, great souls, and great minds developed the center’s signature Spiritual Deepening for Global Transformation program and doubled the average weekend number of guests, growing the Christine Center into the sanctuary and beacon of love that it is today. While Gabe and Marge have personal interests they are eager to pursue, both will remain in residence at the Christine Center and both will provide important volunteer service. Gabe will be our artist in residence, continue to nurture our bookstore, provide guidance in spiritual life and the contemplative arts, as well as anchor our emerging online programs. 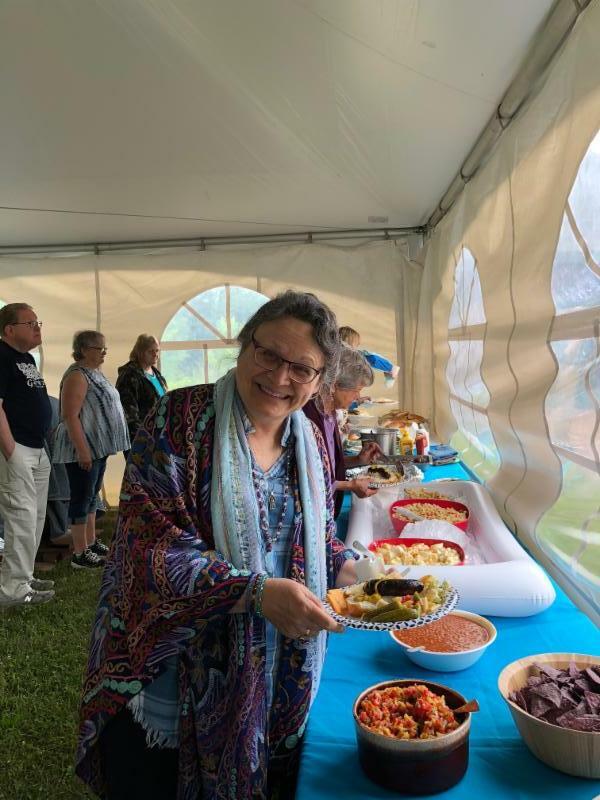 Marge will take a lead role in the Spiritual Deepening for Global Transformation program, as well as provide spiritual guidance, dream workshops, and online learning. This edition of the Christine Center’s e-newsletter is more “newsy” than our missives have been in the past, but that doesn’t mean there’s any shortage of program and event offers available to you. Click here to see your upcoming opportunities! About a fifth of you prefer rustic hermitages. This data will be extremely helpful as we move ahead building and modifying toward fiscal sustainability. The Christine Center is now contributing to our local community by hiring an adult with developmental disabilities. A woman from the Greenwood Adult Development Services is performing light housekeeping a few hours each week. Her wage will be paid by the Wisconsin Department of Workforce Development Vocational Rehabilitation, she will be supervised by a local job coach, and we will provide regular documentation of her hours. For decades, this population has been segregated from society into group warehouse work, often at sub-minimum wages. Integrating into the public workplace is richly rewarding for both the quality of their lives and the morale of the workplaces they bless. We offer our thanks to Sister Marge for making this happen at the Christine Center. We are eternally grateful for your donations!